Objectives: Health promotion leads to a higher quality of life among women. The present study aimed to investigate the relationship between menopausal symptoms and general health among women with menopause. 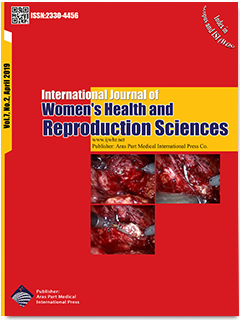 Materials and Methods: In this cross-sectional, 600 postpartum women in Ahvaz, Iran were selected and recruited using the randomized cluster sampling method during 2013-2014. The data were collected by the women’s demographic characteristics instrument, as well as the Goldenberg’s and menopausal symptoms questionnaires. In addition, descriptive statistics and logistic regression were employed for data analysis by the SPSS software, version 19. The statistical tests were performed at 95% confidence interval. Results: As regards the menopausal symptoms, sleep disorders (39%), myalgia (42.7%), and hot flashes (32.5%) were reported as moderate, severe, and very severe, respectively. Further, 50.2% of the participants had impaired general health. Finally, job, hot flashes, sleep disorders, myalgia, depression, and aggressiveness were associated with general health (P<0.05). Conclusions: In general, there is a need to improve public health and reduce menopausal symptoms among postmenopausal women since menopause is changed to a crisis in a woman’s life.